With more and more Singapore educational institutions being included in the Global University Rankings, the nation is fast rising in the foreign education sector. World-class universities, quality education, expert faculty, a vibrant campus life, global orientation, being nearer to home, economical cost of living and better career opportunities are the reasons that have made Singapore as one of the favourite study abroad destinations, especially amongst Indian students. One of the globally popular educational institutes in Singapore is Management Development Institute of Singapore (MDIS). 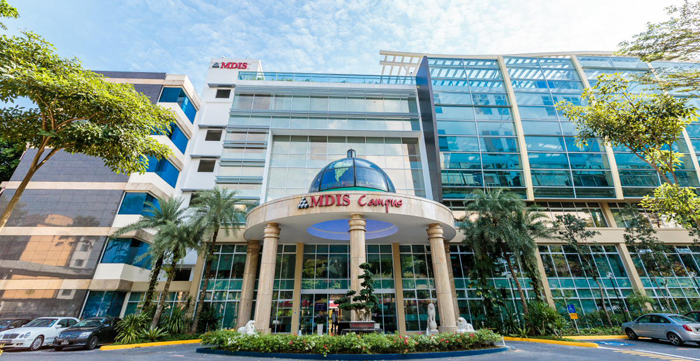 MDIS is Singapore’s oldest not-for-profit professional institute for lifelong learning. We bring to you an interview with Dr. R. Theyvendran, PBM, Secretary-General of MDIS, as he gets candid about MDIS, the role of entrepreneurs in an institution and the future plans of MDIS with respect to India. Dr. R. Theyvendran is a respected lecturer in business and labour studies. He has given lectures on “Crisis Management”, “Motivation during an Economic Slowdown”, “Surviving in the new economy” and “Attributes for Success”, as well as inspirational talks at international forums in Malaysia, Hong Kong, Sri Lanka and India. Dr. Theyvendran is an industrialist, investor and leader of numerous organizations and institutions. He is the Chairman as well as owner of the Stamford Press Group of Companies and also the current Chairman and President of the 33,000-member-strong Telecoms Credit Co-operative (TCC). Careers360: MDIS was founded in 1956 and has been getting students from various countries of the region. How do you look at its role in developing the course of management education in the region? Dr. R. Theyvendran: MDIS, founded in 1956, is Singapore’s oldest not-for-profit professional institute for lifelong learning. In its fifth decade, MDIS has maintained its dedication to professionals through the provision of well-accredited programmes, seminars and management services. MDIS has established its global footprints overseas with set-up of its regional campus in Tashkent, Uzbekistan, offering world-class tertiary education to students from the Central Asia region. Closer home, the MDIS Malaysia campus in Johor, Iskandar, is slated to enrol 2,000 students around 2015 on completion of its first phase. Meanwhile, the city campus is in full operation. With our well-established programmes and experience in the establishment and administration of our overseas campuses, we are well poised to export the MDIS brand of higher education to the region. Careers360: You are an entrepreneur and have been associated with the institute for long. How do you look at the contribution of Indian entrepreneurs in helping an institution grow in India? How important is it for an institution to have top level entrepreneurs on board for its growth? Dr. R. Theyvendran: Entrepreneurs must possess an unwavering passion, a forward looking approach and a vision to succeed. Their clear goals in achieving success and a practical management approach to the growth and development of the institution /organisation will sow the seeds to breed greater success into the organisation. Globalisation and the advancement of technology require entrepreneurs to adapt to the changing needs of the economy in order for institutions to remain relevant in the marketplace. It is therefore equally important for entrepreneurs to recognise that change is a constant in this economy and to adapt to the evolving challenges. The strategic directions to meet the challenges and uncertainties of the fast-changing economy is crucial for the growth of the institutions and having top level entrepreneurs within the organisation who can identity, recognise and provide strategic directions and counsel is essential in ensuring more sustainable growth to the success of the institution and country’s economy. Careers360: What is the validity of the MDIS degree for Indian students? Dr. R. Theyvendran: The programmes are offered in association with our university partners from Australia, France, the United Kingdom and the United States of America, and are well-accredited. For example, the Business Schools offering the MBA programmes from the University of Bradford, UK and the Master in International Business and the Master of Science in Finance from the Grenoble Graduate School of Business (GGSB) are triple accredited (AACSB, EQUIS and AMBA). The programmes are offered from elite Business schools whose degrees are highly recognised and respected. 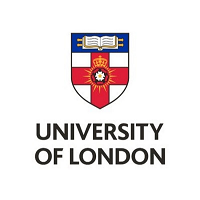 The degrees are awarded by our university partners with global recognition, enabling students to study in Singapore, whilst obtaining a degree from France and UK. Our qualifications provide a global outlook to students. Careers360: What are the opportunities MDIS is looking for in India? Dr. R. Theyvendran: India has the second largest population is the world. Students from India are increasingly looking at overseas destinations to pursue their education. In making the choices, students must also bear in mind the changes in the horizon and explore job opportunities available in emerging markets. Studying in Singapore would therefore be an attractive and viable option for students from India as the central location provides a gateway to numerous opportunities and provides the exposure to the east and west aspects of education. Alternatively, we will consider India as a possible destination, should an opportunity arise for the setting up of our third overseas campus. Careers360: Is MDIS planning to set up a campus here or would prefer working with Indian institutions in collaboration? Dr. R. Theyvendran: Options are being considered and each of these options has its own merits. Our aim is to benefit students and equip them with the necessary tools to create a better future. We are open to working with institutions that would provide a business proposition that benefits the students as well as the institution’s growth and development. Careers360: Kindly elaborate on some of the unique academic practice being followed at your institute? Dr. R. Theyvendran: At MDIS, students benefit from a holistic learning experience where moral values and enrichment skills are instilled in students. Beyond academic learning, the MDIS Experience, - a series of enrichment workshops, instils critical skills in preparing students for the job market. Internships, skill based learning and practical based approach in academic delivery also prepare students for the real world challenges. For example, opportunities are created for our designers and young students from the School of Fashion and Design who have designed for Ducati and the Jakarta Fashion week. Modules are taught by academics and industry professionals - While professors impart knowledge, our industry professionals lend their experience to students, enabling students to tap on the expertise, knowledge and experience. We have also invested in our facilities and equipment – engineering workshops, life sciences laboratories, TV and radio suites, computer labs and hospitality training centre to provide students valuable practical exposure in their learning journey. Careers360: What are your other future plans related to India? Dr. R. Theyvendran: We aim to be a leading regional educational institution. We hope to provide a wide choice of global education and to bring the MDIS quality and standard of education to the doorsteps of Indian students so that they can access the educational opportunities from destinations which are closer to their homes. In providing globally recognised programmes in India, we also hope to create brand awareness and build the MDIS brand name in India.